WASHINGTON — Both conservative and liberal justices alike expressed skepticism on Tuesday over a law requiring pro-life pregnancy centers in California to provide information to clients regarding how they can take part in government programs that would allow them to obtain an abortion at little or no cost. The nine justices heard oral argument this morning in the case of National Institute of Family and Life Advocates (NIFLA) v. Becerra, an appeal that they agreed to accept in November after a federal appeals court upheld the law, known as the Reproductive FACT Act, as constitutional. 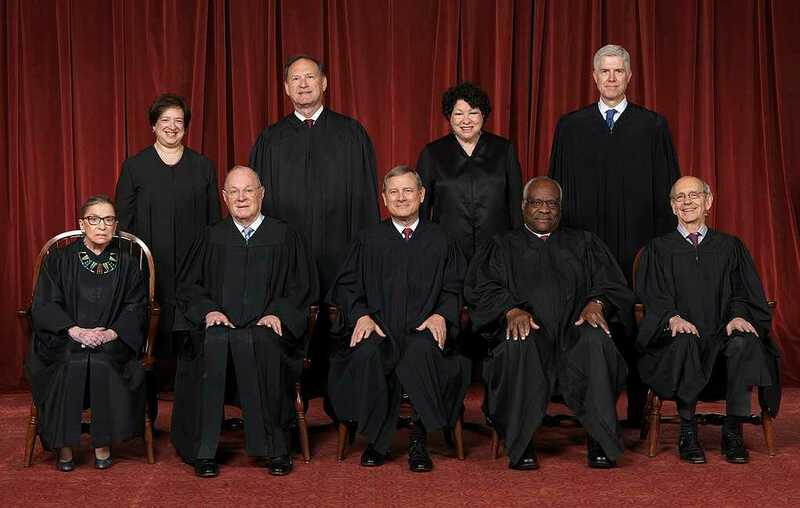 Justice Elena Kagan expressed similar sentiments, opining that the state had seemingly “gerrymandered” the law to apply only to the pregnancy centers. “Why should the state free ride on a limited number of clinics to promote its interests?” also asked Justice Neil Gorsuch, according to Politico. As previously reported, California Gov. Jerry Brown signed the Reproductive FACT Act into law in Oct. 2015, a measure that has been dubbed the “bully bill” by pro-life groups in the state. The bill was authored by Democratic Assemblyman David Chiu, who outlined in the measure that he takes issue with pregnancy centers that don’t provide abortion referrals to women. Violators may be fined $500 for the first offense and $1,000 for each infringement afterward. According to reports, NARAL Pro-Choice California was a major sponsor of the law, as it contends that pregnancy centers “mislead” mothers in trying to dissuade them from killing their unborn children. Abortion “rights” groups characterize pregnancy centers as “fake clinics,” although they provide free ultrasounds and pregnancy tests, and are often staffed with nurses and ultrasound techs, in addition to other volunteers. NIFLA disagrees that locations cannot be considered clinics, nor do they believe that the facilities are being deceptive as they do not suggest that they perform abortion procedures. See the ruling out of Maryland surrounding Greater Baltimore Center for Pregnancy Concerns, Inc.
“Pregnancy centers that provide ultrasound services (and other medical services such as STI testing and treatment) under the supervision and direction of a licensed physician are, in fact, medical clinics and should be acknowledged as such,” NIFLA explained in an article on its website in 2013. Several faith-based pregnancy centers filed suit to challenge the Reproductive FACT Act following its passage, including the aforementioned National Institute of Family and Life Advocates, the Pregnancy Care Clinic and the Fallbrook Pregnancy Resource Center. However, both the federal district court and the Ninth Circuit Court of Appeals declined to grant an injunction, finding that the requirement served a significant government interest. “California has a substantial interest in the health of its citizens, including ensuring that its citizens have access to and adequate information about constitutionally-protected medical services like abortion,” wrote Judge Dorothy Nelson, appointed to the bench by then President Jimmy Carter, for the Ninth Circuit last October. Nelson identifies as an adherent to the Baha’i religion. “And given that many of the choices facing pregnant women are time sensitive, such as a woman’s right to have an abortion before viability, we find convincing the AG’s argument that because the licensed notice is disseminated directly to patients whenever they enter a clinic, it is an effective means of informing women about publicly-funded pregnancy services,” she said. The centers then appealed to the U.S. Supreme Court, which agreed in November to hear the case. Numerous amicus briefs have been filed in support of the pregnancy centers, including a coalition of 22 states, 41 family policy organizations, 23 legal scholars, and numerous pregnancy centers and pro-life groups nationwide. “The state of California, at the behest of the abortion industry, is using its power to force pro-life pregnancy centers to be complicit in abortion by telling women how to get one free or at a reduced cost. Even worse, A. B. 775 specifically targets these small non-profit organizations that exist to provide women with life-affirming information they may not otherwise receive,” he said in a statement following oral argument. He said that he feels optimistic about how the court will rule considering the response from the majority of the justices. A ruling is expected by the end of June.